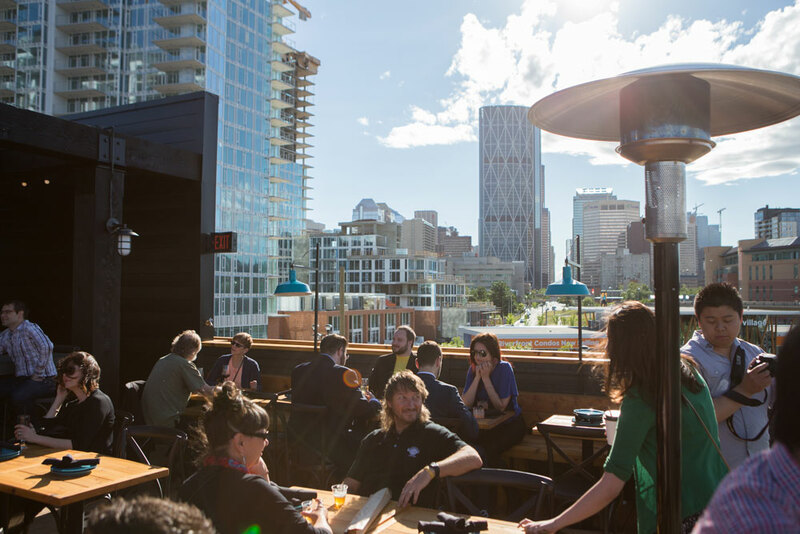 Located above Charbar on top of the Simmons Building in the East Village, the adults-only Rooftop Bar @ Simmons offers sweeping views of the Bow River and the RiverWalk from every seat. Between that sightline and patio features like heaters, umbrellas and a rooftop bar and open grill, you’ll never want to leave. 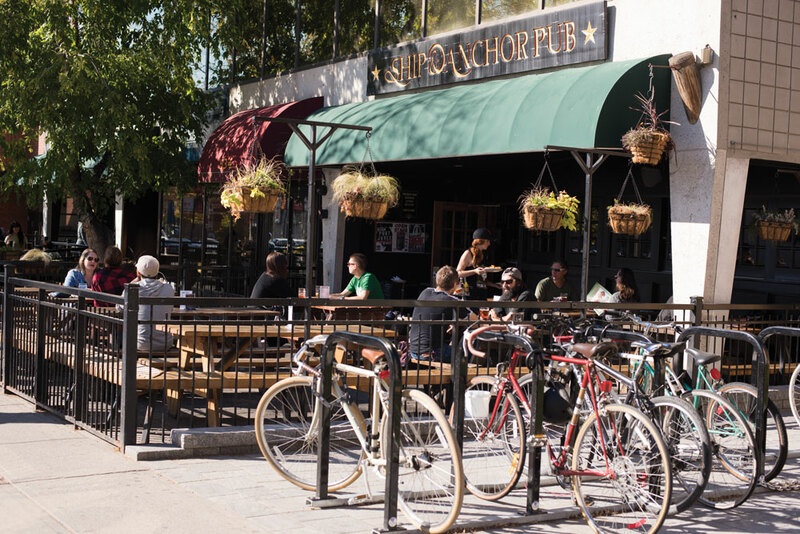 On a sunny day, the unfussy yet comfortable patio at The Ship & Anchor is usually one of the first to fill up. Casual picnic tables and benches make it easy for groups of friends to congregate over pints of beer, while a few tall trees occasionally provide a bit of shade. This is the first year that dogs will be allowed on patios at Vin Room – both the Mission (front patio only) and West Springs locations. Sunday through Wednesday treat yourself to a glass of wine while your pooch munches complimentary house-made treats and drinks from the restaurant’s water stations. 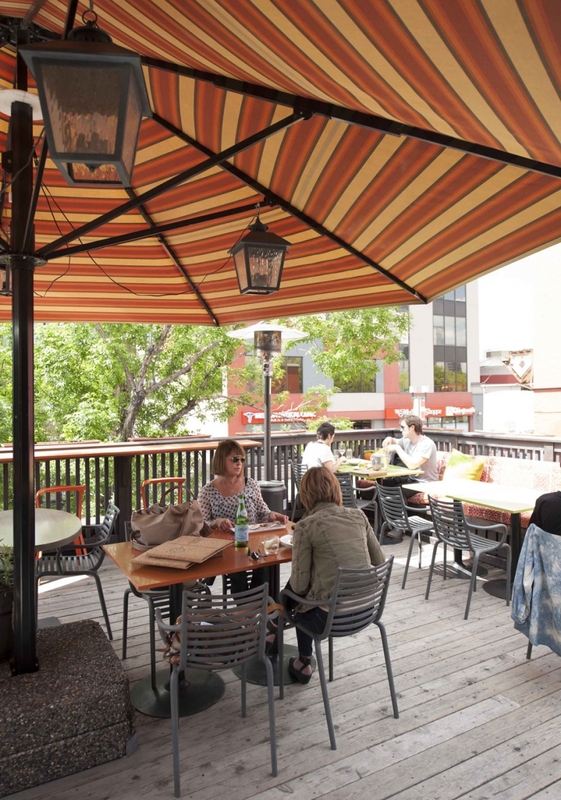 Surrounded by leafy trees along the lagoon in Prince’s Island Park, River Caf’s patio is an idyllic spot for a date night. 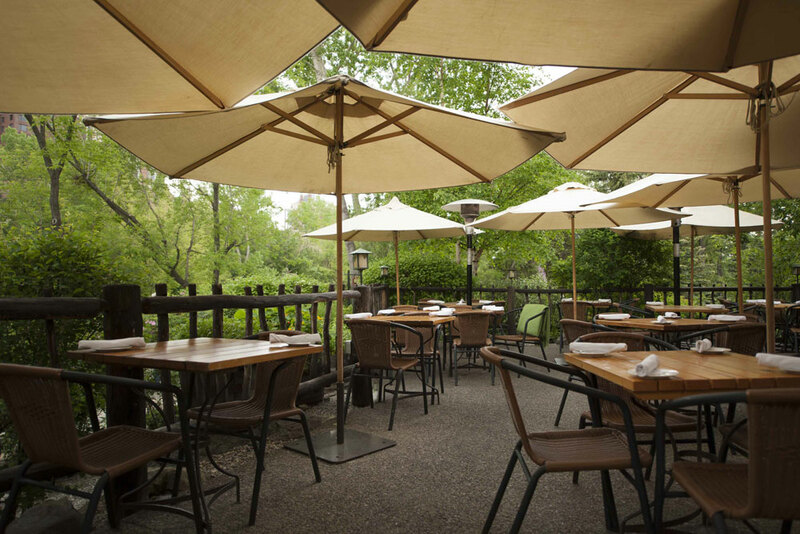 Large umbrellas provide shade during the day, while heaters, lanterns and little lights in the trees keep the space cozy and romantic during the evening. 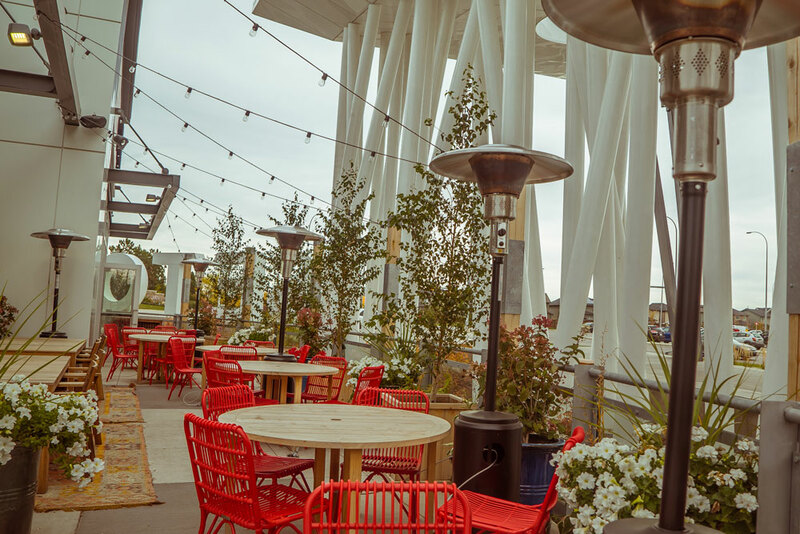 On Sundays, make the drive to Seton for the market-style brunch at Starbelly. Visit the indoor buffet to order eggs or build your own waffle, then take your meal outside to the patio. Bright red chairs add a pop of colour to the space, which also features potted plants, heaters and strings of overhead lights.